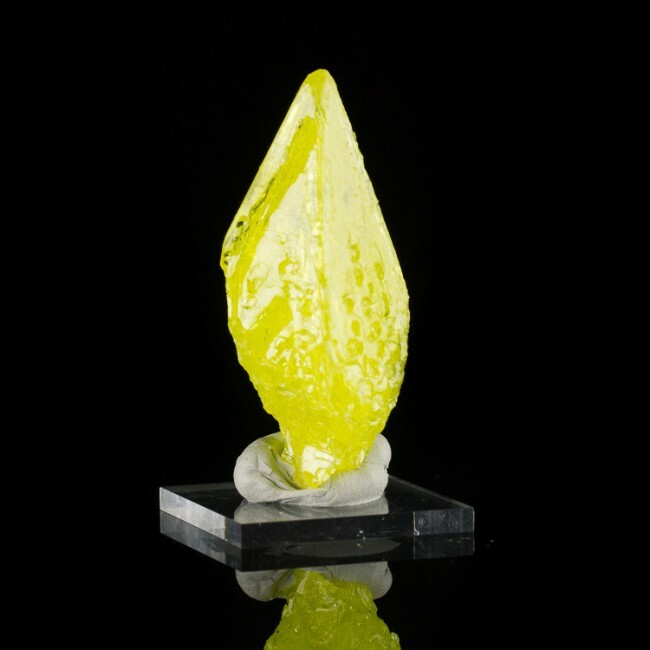 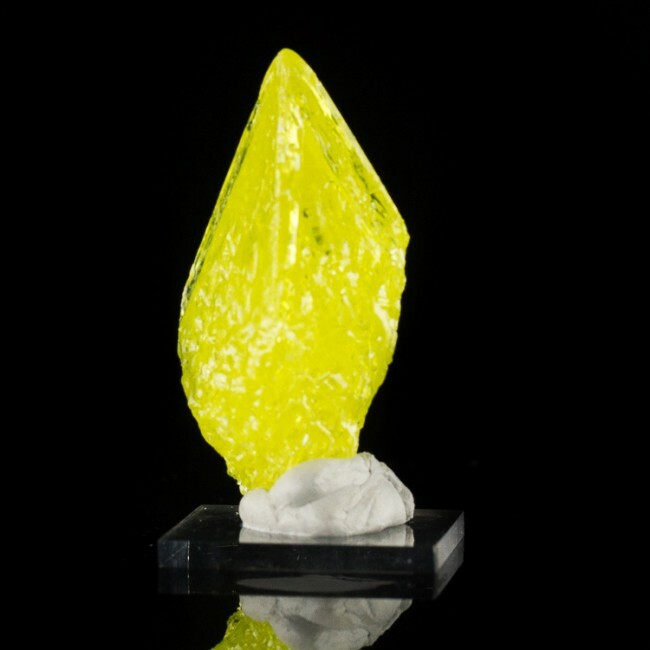 Size 2.2" x 1.2" x 0.8"
Here is a sharp, bright yellow crystal of native sulfur from Bolivia. 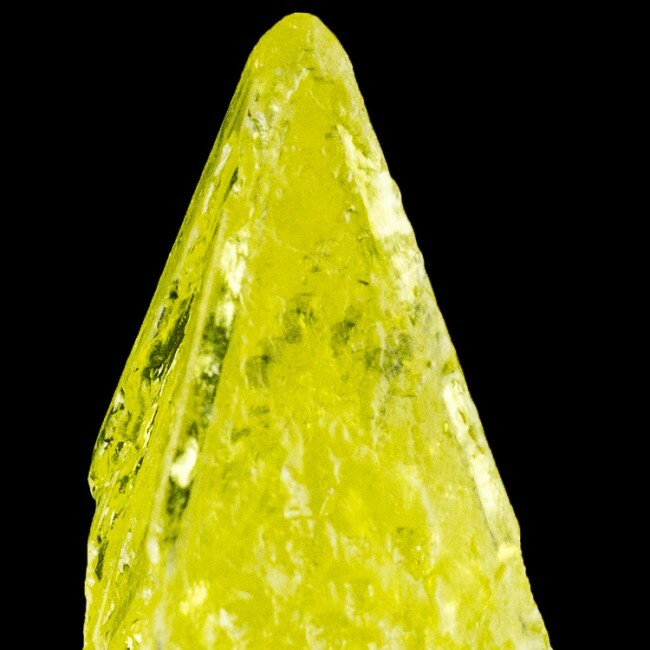 The bipyramidal-shaped crystal looks like a 4-sided tower, with the upper part sloping in to form a perfect pointed termiantion, and the bottom part sloping inward toward the base. 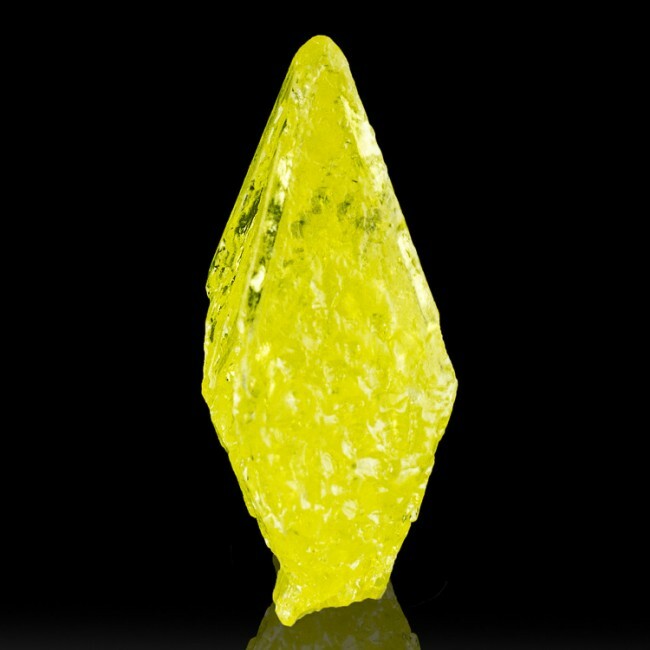 The crystal is sharp and highly lustrous, fairly gemmy inside, and the bright, sunny yellow color is as good as it gets from any locality. 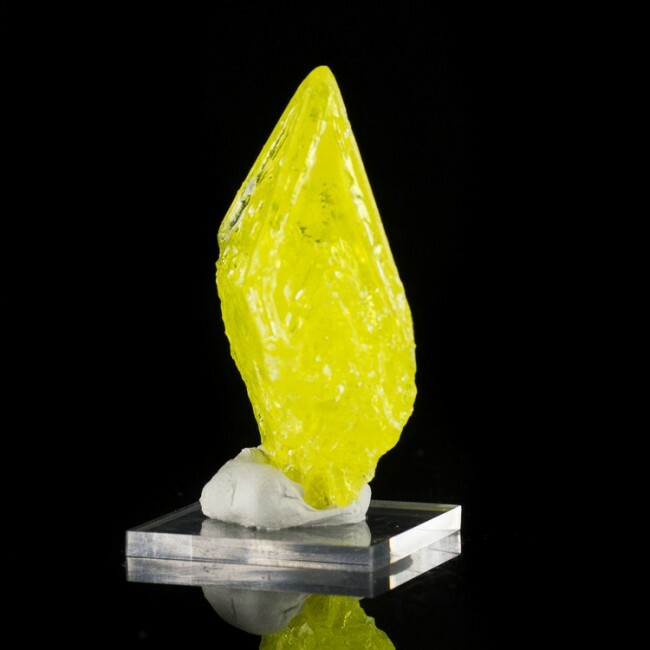 The insides of the crystal are hoppered, meaning the edges of the crystal grew faster than the insides, which did not completely fill in. 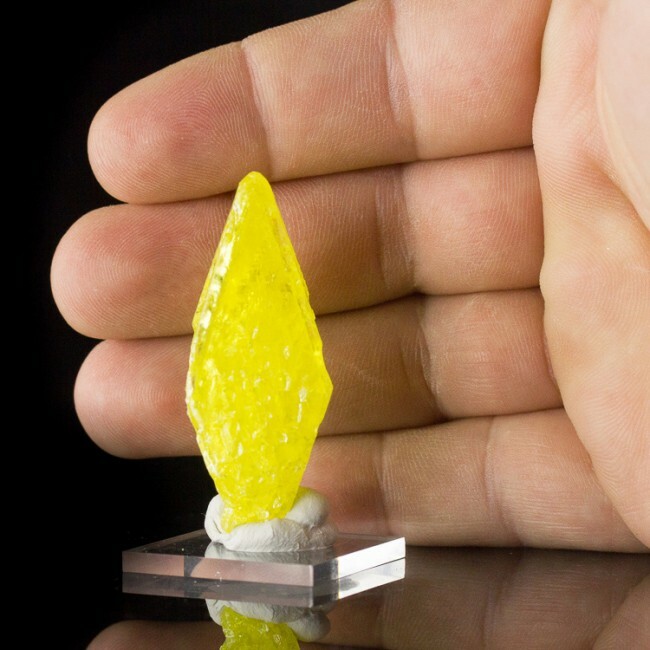 This is a highly aesthetic piece from a famous locality that reopened in 2018 after being closed for a number of years.